Dr. Robert C. “Bob” Bullock passed away July 31 at the age of 87. Dr. Bullock was a research entomologist at the IFAS research center in Fort Pierce for over 35 years. 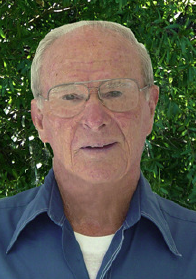 He was a much respected teacher of citrus production and integrated pest management practices. Working with Chuck Stone, he pioneered aerial spraying with fixed-wing aircraft for a number of pesticides. Among his many accolades, Dr. Bullock was inducted into the Florida Citrus Hall of Fame in 2011. Dr. Bullock was a friend to agricultural aviation and will be greatly missed.